season. Each has agreed to a one year contract. times. 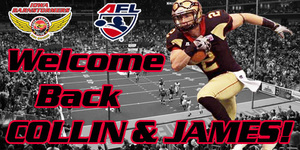 Both players will attend the Barnstormers training camp which begins in March, 2013. (515) 633-2255 or log onto www.theiowabarnstormers.com.